Today we'll discuss adding a Disney cruise onto a Disney World trip with Melanie from DCLPrepSchool.com. 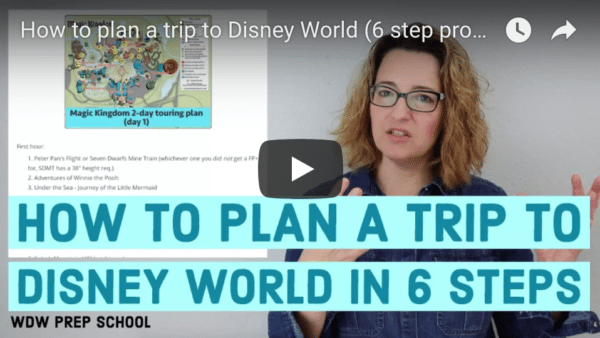 She'll help us understand what's included with the price of a Disney cruise, the logistics of getting there, and explain what Fish Extender gifts are. I also have a quick tip to help you save on merchandise at Disney World. Keep information organized (stateroom number, reservation numbers, passport numbers, emergency contacts, onboard activities, flight info). A lot of this info will be handy when doing online check-in as well. 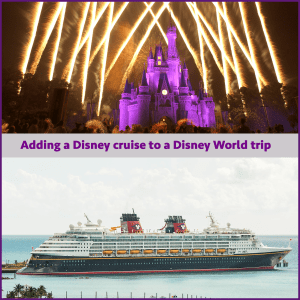 Packing for a cruise is similar to Disney World, including comfortable shoes, comfortable clothes, swimsuits, external battery chargers, and something to pull hair back. Laundry rooms are available on the ship. Pirate and formal nights onboard will require special things to be packed that you wouldn't normally need at Disney World. Many people will participate in Fish Extender gift exchanges on Disney cruises. Groups can be found on message boards and in Facebook Groups. Get gift ideas at pinterest.com/dclprep. The maps have recently been updated so be sure to log in to get a fresh copy. Not a member? Sign up at wdwprepschool.com/members. Check your receipt during your Disney World trip to see if a coupon has been included. For instance, there's a current discount of 10% off of Disney Springs merchandise that's included on receipts at most Magic Kingdom Quick Service restaurants.